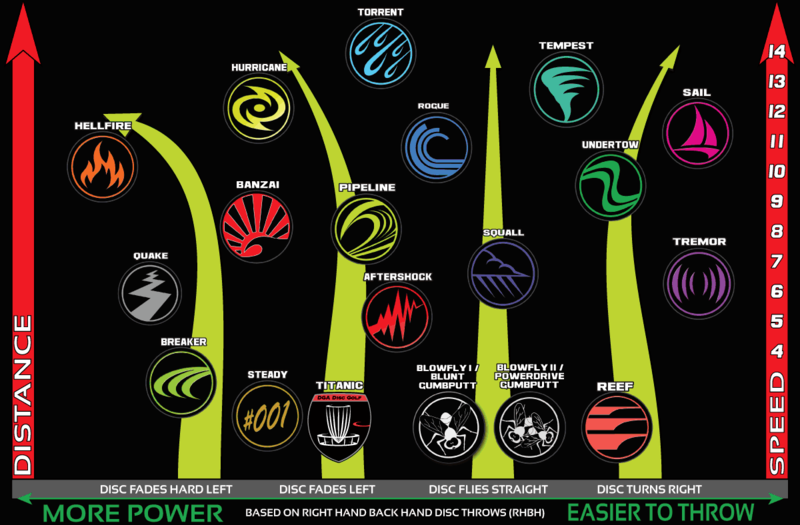 The discs on the left of the disc flight chart are better for players with faster arm speeds. The farther left you go on the chart the better these disc will perform throwing into the wind as well. Discs requiring less power are on the right side of the chart. Discs on the right side will be easier to control and players with lower arm speeds will enjoy more distance from these disc choices. 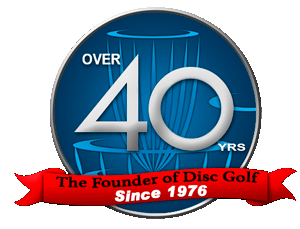 DGA disc golf drivers are designed for fast, long-distance flight. DGA driver offerings range from easy to control 150 class discs suitable for the recreational player just starting out, to high-performance advanced drivers used for professional tournament play. Drivers are recognizable by their sharp, beveled edge and have most of their mass on the outer rim of the disc. Drivers are often divided into different categories such as maximum distance drivers, distance drivers, and fairway drivers. Drivers tend to be more of an advanced disc to throw and new players may find that throwing a distance driver can be difficult. This is why it is better for players to begin learning with fairway drivers, mid-ranges, or even putters. Midrange discs are for mid to long range throws and different flight paths. Midrange discs are slower, more controllable and have a more stable flight path than drivers. Midrange discs have slightly sharper edges that enable them to cut through the air better. 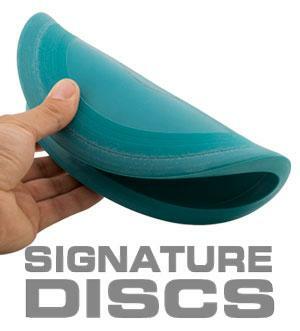 These discs are usually faster, more stable, and have a longer range than a putter. They are good all-around discs and are suitable for a first-time player. 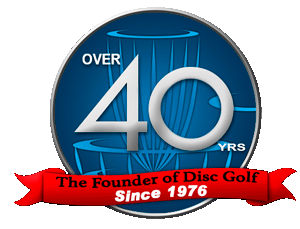 DGA discs designed for short-distance and stable flight. DGA putt and approach discs range from flat top discs to ultra grippy flexible discs. Putters are similar to the discs used in simple games of catch, such as the Wham-O brand Frisbee, but are much smaller in diameter as golf discs traditionally are. They are designed to fly straight, predictably, and very slowly compared to midrange discs and drivers. 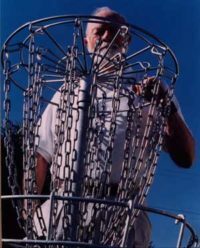 They are typically used for shorter controlled shots or for the final “putt” into the basket, although some players use them for short drives where trees or other obstacles come into play. 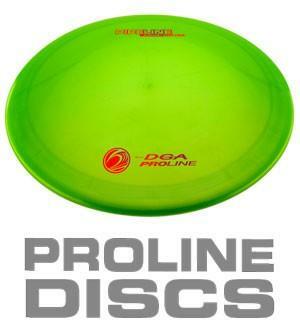 DGA ProLine plastic is one of two premium plastic blends from DGA. ProLine plastic is tough, tacky, and has incredible performance. The ProLine plastic blend features increased marbling, pearling, and overall aesthetic appeal. This blend is recommended for players that are looking for increased grip and durability, balanced with high-performance flight qualities. ProLine plastic will take less time to beat in and will reach its intended flight characteristics faster than the DGA SP Line blend. DGA SP Line plastic is one of two premium plastic blends from DGA. SP Line plastic will take a little longer to beat in than other DGA plastic blends. SP Line discs are transparent and have sparkle flakes suspended in the plastic. 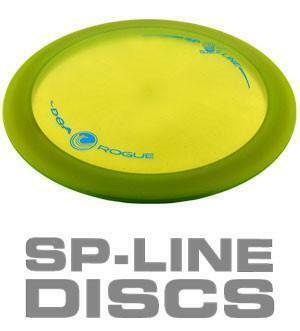 The SP Line plastic blend is the perfect complement to the DGA ProLine plastic blend and will outperform and outlast any other disc golf plastic on the market. DGA D-Line plastic is DGA’s most economical plastic blend and features superior tack and grip. 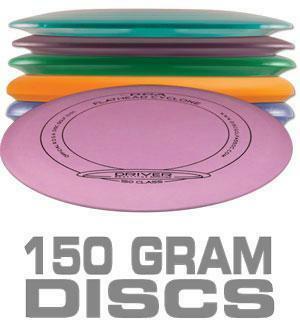 The plastic is similar to RDGA plastic, but the discs are not all 150 grams in weight. 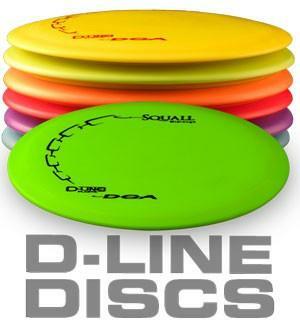 Discs in D-Line plastic are beginner friendly because of the increased grip but are used by players of all skill levels. RDGA Line weighs in at 150 grams and are extremely easy to throw. The RDGA Line uses some of the same molds found in the ProLine and SP Line. The lighter discs weights of from RDGA plastic are ideal for people working on their form or who are new to playing disc golf. 150 Grams and lighter are the regulated weights for tournament play in Japan. DGA Signature Line plastic is known for its one of a kind rubber like blend and exceptional plastic memory. 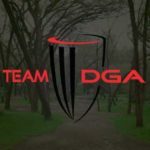 DGA Signature Line discs are mostly for putt and approach purposes but fly excellent off the tee as well. It is safe to say you will not find another line of discs out there with the same feel, flexibility, and catchability. Create an event people will want to come back to by providing more value and better packages that only DGA offers. DGA hot-stamps provide a custom look for your tournament, school, or business.